The Granite State Hacker: Windows Phone Live Tiles... What's happening right now? Windows Phone Live Tiles... What's happening right now? The first thing you see when you see a Windows Phone is the start display. In fact, it's so distinct, that it becomes the most identifiable feature of a Windows Phone at a distance. Typically, the start display is populated with a number of application icons... only on Windows Phone (and Metro) they're all square or rectangles and are called Tiles. On second glance, you start to notice that many of these tiles have some form of light animation to them, typically communicating basic information. The Tiles that open messaging apps indicate the number of new messages, for example. When I first started playing with my Windows Phone, the live tiles seemed like a nifty gimmick... important for messaging features, but not really useful for anything else. As I've dug in on app development for Windows Phone, I've come to see the Live Tiles as a really under-leveraged feature, communicating with users on a level that previously couldn't be achieved. They're terribly simple, but terribly engaging. I now see that they are the addictive component of Facebook's classic "What's on your mind?" status updates... statuses provided by the apps on your phone. What's really cool is that, like I said before, getting status updates is not limited to contacts. I've got apps that have live tiles that... display current weather conditions including radar maps. ...show stock quotes & notifications. ...display photos from various sources. ... even shows your XBox avatar fully animated. I'm in the process of adding a new feature to my hobby project, Jimmy Sudoku, to make use of live tiles to show the progress of the "current" puzzle. The uses for this being able to re-engage a user after they've "quit" the application itself are significant. I can easily imagine a time when the marketing significance of them makes building Windows Phone apps far more attractive to companies than iPhone or Droid apps. Even if companies aren't trying to hock a specific product... imagine corporate "investor information" apps, for example, that provide easily accessible information about a company... but most importantly, providing "status updates" to investors to re-engage interest. I'll admit, at some level, this reminds me of electronic kids toys that attempt to re-engage kids in play after the kid has put it down and walked away by flashing a few lights & making a little noise. There's reasons those kids toys do that, though, and anyone paying attention with a mind for marketing will get what they are. This is another Non-App for Windows Phone... one of the many cool features built into the device in an accessible, but non-cluttering way... and another reason I keep seeing Windows Phone as the IBM Compatible of smart phones. Jim, just discovered your blog tonight (its 2:30am here in Nairobi, Kenya). I have been using W07 since launch in 2010 and absolutely love it. Whenever I try to use Android (even on ICS), I can help but think how dated and inconsistent the whole experience is. I believe there is a section of the population that wants smooth, clean, simple yet powerful smartphone computing. These folks are now just discovering WindowsPhone with the moderately priced offerings from AT&T. 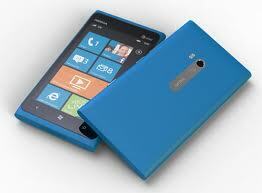 Once Verizon reboots their Windows Phone initiative when Apollo is launched, the market share will grow faster. Great work on your blog, and I will be checking in often.